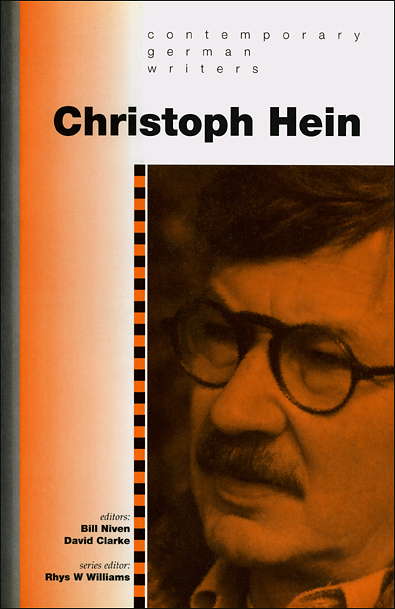 Christoph Hein is widely regarded as one of the most important authors to emerge from the former GDR. He began his career as a dramatist in the 1970s, and later produced some of the most acclaimed prose fiction of the GDR in the 1980s. Hein is also a prolific essayist and lecturer whose contributions to debates on GDR culture before the Wende, and on the future of the united Germany, are widely recognized. He is president of the newly unified German PEN Centre. Christoph Hein follows the pattern set by earlier volumes in the series, opening with a previously unpublished piece by Hein, a biography of the author, and a interview conducted during Hein’s stay in Swansea in March 1998. The volume includes five articles by British and German academics, as well as a contribution by Hein’s Lektorin at Aufbau-Verlag, who offers an insight into the composition of Hein’s most recent novel Von allem Anfang an (1997). The volume ends with the most comprehensive bibliography on Christoph Hein to be published on 1992.